strange ... The rpoblem was that the owner didn't let us enter the room, and when we got there with all the bagages, he said they have to fix the bathroom and he sent us to another b&b. he said the other place is close, but it was not and we took a taxi. 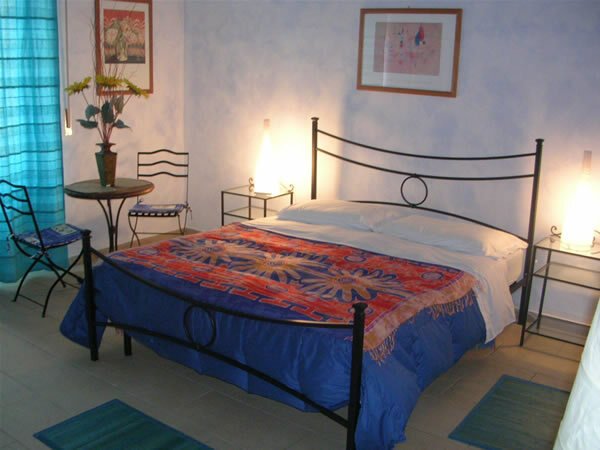 Il Girasole Bed and Breakfast is located in the historical and colourful district of La Marina. Not only the quarter of restaurants and trattorias where to taste the thousands flavours of the Sardinian cuisine, but also the quarter of some of the most important archeological sites. In other words: the very heart of Cagliari, 100 mt from the harbour, train and bus station, 10 minutes from the ariport and at the feet of the historical and characteristic quarter of Castello. coffee, tea, yogurt, biscuits, flakes, muesli, butter, jam, cakes, honey, sardinian cheese and ham, fruit, milk, juice, sardinian bread, toasts or anything else of your choice. It's also possible - on request - to have lunch or dinner based on typical sardinian dishes. If you decide to stay with us, we are sure you'll understand why guests before you were so delightful surprised entering our rooms. Details make difference. From gres-porcelain floors, to a mix of India and Italian antique furniture. 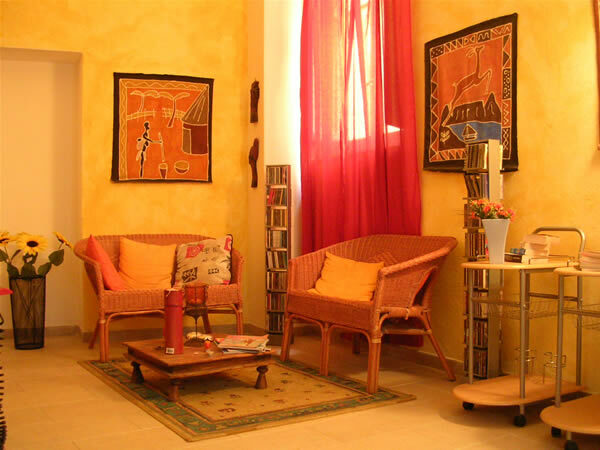 Every room is painted with a particular water coloured technique which gives a warm and intimate atmosphere. Private bathroom, Tv, Air conditioning/heating, Internet broadband connection, hypo allergic pillows and materass, rich home made breakfast served in room in winter and on the terrace in summer, are among the services you can enjoy at Il Girasole for a stay in the maximum relax. Served in room in winter and on the terrace in summer, our breakfast is rich but most important it fits all your needs. milk, coffee, tea, yogurt, biscuits, flakes, muesli, butter, jam, home made cakes, honey, italian and sardinian cheese, italian and sardinian ham, fruit, juices, fresh baked sardinian bread and rolls, toasts or anything else of your choice. And if it's not enough, all you have to do is ask. Also gluten free food for celiacs and other allergies is avalaible (extra charge required). If you decide to stay with us, we are sure you'll understand why guests before you were so delightful surprised entering our rooms. Details make difference. From gres-porcelain floors, to a mix of India and Italian antique furniture. 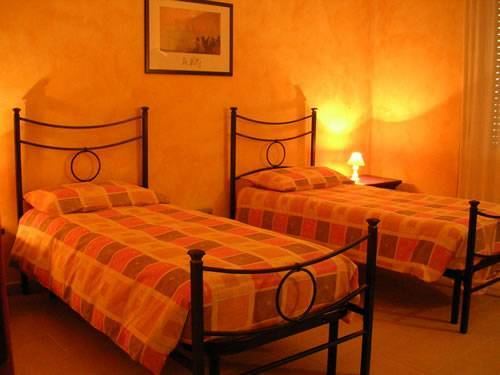 Every room is painted with a particular water coloured technique which gives a warm and intimate atmosphere. Cancellations made 30 days prior to arrival will not be charged. If notification is made between 15 and 30 days before scheduled arrival there is a 30% charge. Cancellations within 15 days of arrival will be charged the entire amount. Cancellation must be sent via email. We are 100 mt from the harbour and five minutes walk from the train and bus station. Cagliari - Elmas airport is ten minutes by car and it is connected to Cagliari every 30 minutes by a shuttle bus service. The bus stops at the teminal in Piazza Matteotti, five minutes from Il Girasole.